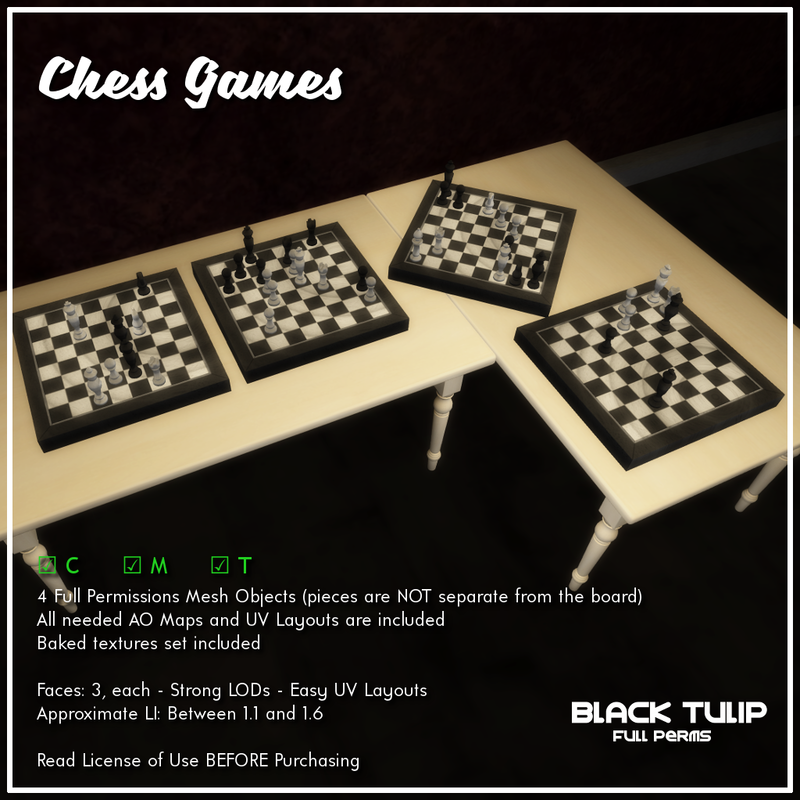 This weekend we have one new mesh kit: the Chess Games. These objects feature actual games (fans of Alice in Wonderland will recognize one) and have low LI. Promotional price is valid until Monday. Click here for your taxi! 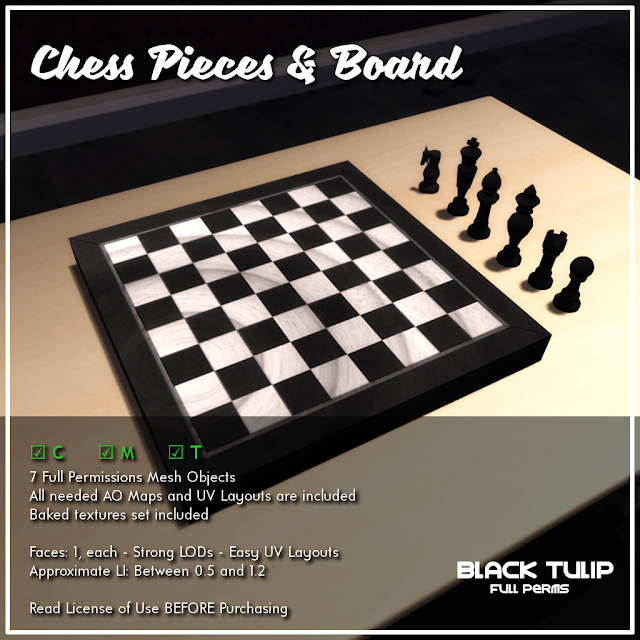 Besides this, we have a new group gift: The separate Chess Pieces (and board), available only for group members.